Dear Friends, my apologies for posting you an off track message, which is quite disturbing. I may be excused for the same. Forest/ wildlife officials have beaten the villagers of JhagDaBehera (झगड़ा बेहेरा) blue and black by entering their homes at mid night. They have been living in the forests since over 100 years, when there was no department, no Sanctuary, no Hirakud Dam. The dept has accused the villagers of cutting down a tree near the forest beat house. The incident Today I tried to get to the village, and the DFO Mr. Sudip Naik (Mobile # +91-9437960604) of Wild Life refused an entry to us from the Bargarh side for news collection. Administratively the village falls in the Bargarh dist, in the district boundary, where as the villages and area are under the control of the Wild Life Dept, DFO, Sambalpur. Bargarh dist was carved out of undivided Sambalpur in 1986, but the Debrigarh Sanctuary of Bargarh dist is still under the control of Sambalpur. The WL DFO is a corrupt person as we are coming to hear from people, and indirectly supporting the bird hunting, logging and many other illegal activities in the Sanctuary area. Esteemed citizen of this village Jhagada Behera have been imprisoned in the forest since past over 60 years and do not know the meaning of Freedom It is at least 5 kilometers away in deep forest from nearest human habitat. Highest educated person of the village is +2, who read at Panchayat College, but due to the extreme poverty in their village and his family, he could not study further. The Hirakud Dam came into existence in the year 1957, the area was declared a reserve forest in later years and the Sanctuary declaration came into existence in the year 1985. The village has been existing much prior of the independence. There is another village called Debrigarh, which is more famous. Satellite image of the village is also shared here for your reference, so that you can locate it yourself. Longitude 83°38'43.71"E Latitude 21°33'43.94"N They have been living a miserable life of forest dweller, not by option but by compulsion of the Govt. They asked for a compensation of Rs. 10 Lakh for every family about 5 years back to move out of the Sanctuary/ Reserve Forest but there has not been any discussion over that. This is unimaginable kind of torture the people have been suffering 37 families living in the forest village. Race has began.BJP Runner is lacking behind. Reason ? 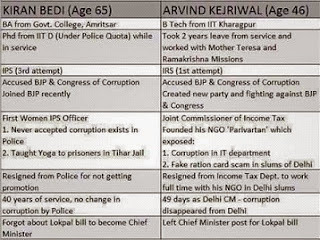 Hidden `Import` of 65 years old `Ki Run` Bedi in BJP who is an open quick fix corrupt `conversion` started the Race late. A hurried wild card declaration as a BJP CM Candidate is a big gamble for the serious election of a Pramukh Nagar Sevak as the Delhi `Chowkidar`. Competition is a game changer with `honesty` as an essential ingredient. Modi high fly Ballon is back in Delhi on ground Zero. Wave Modi today stands helpless facing a voters Wall -challenged by the presence of `Kejri Wall` and his supporters of AAP. `Delhi wall` indicates the aspirations, dreams and awareness of Delhi voters. Thanks to the competition in Delhi politics, the advantage will be to the voters as both faces(Arvind-Kiran Bedi) are honest. In several states like Maharashtra,Haryana and Jharkhand where assembly elections were held recently , BJP failed to Project a Pre-Election CM Candidate. In Delhi this BJP plan of Modi Wave was a flop as seen in recent rally of PM Modi in Ramleela grounds with empty chairs. It appears that conventional team BJP is forced to anticipate defeat. Fear to loose motivated Modi team to gamble with a `honest` face (Kiran Bedi) from the past popular Jan Lok Pal movement instead of a time tested BJP local leader as a CM Candidate. 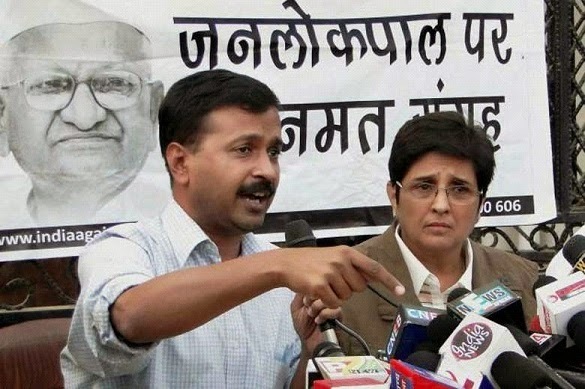 Both Kiran Bedi and Arvind as Magsaysay award `messengers` are sweet and effective charmers. It is strange why BJP wants to hide behind the `honest` face of Kiran Bedi. 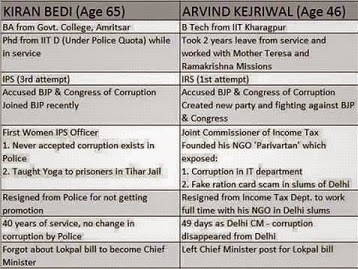 Having worked with both Arvind Kejriwal and Kiran Bedi during and before Anna Movement, allow me to share the head on advantages-disadvantages of both Delhi CM Candidate Runners. Enclosed social media comparison is the contribution of readers via internet. Kiran Bedi`s compromising nature with corruption within Police and now in Politics, her ambition to a self growth first, a run for promotion as a Top Cop, `Police Job disobedience` as pointed out earlier in my recent crafts is a collective worry for Delhi and for any patriotic Indian. Modi Team `Hunger` for an honest face in the morally starving BJP with a short cut for power today stands exposed. Instead of a BJP `master stroke` commented by few,allow me to tag this act as a BJP Face Saver Run for the compromising Modi Team in a panic mode, who as a team have failed to connect to the Delhi Voters pulse in time. Yesterday, 6th January 2015, the National Assembly of Pakistan passed an amendment to the Constitution allowing the formation of military courts. The Pakistan Senate adopted the same amendment with a limiting clause that the amendment will be valid only for a period of two years. In responding to the 16th December 2014 massacre of 148 people, which included 137 children, the National Assembly and the Senate have attempted to create the impression that they are responding to the anger of the people against the failure of the State to suppress terrorist attacks in Pakistan by setting up military courts to deal with cases involving alleged terrorists. Although the Parliament and the Senate have gone to show that a judicial measure in place of civilian courts has been created, in fact, the Amendment amounts to conferring extrajudicial punishment to those designated as terrorists. Prime Minister Nawaz Sharif has claimed that the Amendment is an extraordinary measure warranted by current extraordinary circumstances. However, it is nothing less than approval of extrajudicial punishment under the guise of “judicial measures”. An extrajudicial action does not become a judicial action with mere addition of the words “the courts” after the word military. Military actions will always remain military actions, whether they are conducted behind the front of ‘military courts’ or not. The simple solution proposed to address the terrorist bombings and attacks is to deny fair trial to alleged terrorists. As civilian courts are circumscribed – in order to negate judgments not the result of a fair trial – the military has been assigned to conduct this function. Although the government believes that this is a solution to terrorism, the government is only creating an illusion as a measure to deal with terrorism. Extrajudicial punishment through military courts will increase the feeling among the people that the State is unable to act within the legitimate and legal framework to deal with the terrorist threat. The perception of the government acting outside the framework of the law will further undermine the government, something that will be exploited by terrorists. Military courts performing functions civilian court functions will only increase the high levels of instability that permeates life in Pakistan. When faced with a crisis – such as that which has arisen in the wake of the massacre of such a large number of children – it is natural for a government to want to portray that it is taking strong measures to provide security to the people. However, between the creation of such an appearances and finding a real and lasting solution to terrorism, there is a vast gap. While the government may comfort itself in its illusory measures that, the situation can further degenerate and the government may lose control altogether. Real solutions are needed to this crisis, which the government admits is an extraordinary one. To weaken civilian courts further is not a real solution. Merely passing a law with a two-thirds majority does not make the Amendment a genuine “constitutional amendment”. Parliament does not have the power to alter the basic structure of the Pakistan Constitution. The Indian Supreme Court, following the good example of German courts in the post World War-II era, decided that the Parliament does not have the power to alter the basic structure of the constitution. The making and un-making of constitutions belong to a different sphere from the legislative one. Therefore, there is solid jurisprudential basis to challenge that this “constitutional amendment” is not a constitutional amendment at all. It is to be hoped that the legal community of Pakistan, as well as the civil society, will strongly oppose this Amendment and seek judicial intervention to declare it as unconstitutional. In the case Sindh High Court Bar Association v. Federation of Pakistan through Secretary, Ministry of Law and Justice, Islamabad, and others (Constitution Petition No. 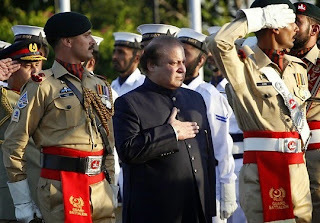 9 of 2009), the Supreme Court of Pakistan took firm measures to avoid any future interference by the military that may disrupt rule under the constitutional framework of Pakistan. This was done in light of many previous experiences where the Pakistan military disrupted rule under a democratic constitution and even went to the extent of suspending the Constitution. So this extraordinary measure was taken by the Supreme Court to ensure the democratic constitutional framework of Pakistan would not be disturbed again. Unfortunately, this particular “Amendment” now disturbs the democratic constitutional framework of Pakistan. It is a foot in the door for the military to begin interfering with the affairs of government once again. Further, the judgment to Sh. Liaquat Hussain and others v. Federation of Pakistan through ministry of law, justice and others (PLD 1999 SC 504) is also relevant. Herein it is clearly established that “the Constitution of the Islamic Republic of Pakistan, 1973, in its preamble (now made a substantive part thereof vide Article 2A) declares that ‘the independence of the Judiciary shall be fully secured’ therein. According to a consensus of the jurists, the independence of the Judiciary means that every Judge is free to decide matters before him in accordance with his assessment of the facts and his understanding of the law without improper influences, inducements or pressures, direct or indirect, from any quarter or for any reason; and that the Judiciary is independent of the Executive and Legislature, and has jurisdiction, directly or by way of review, over all issues of a judicial nature. This Court… has separated the Judiciary from the Executive” (Ordinance (XII of 1998) S.3, [p. 807] J). It is a duty of a civilian government to always assert that it is able to govern through the constitutional structure of the country. When the civilian government admits that it cannot rule through the civilian democratic structure of the country, it places the entire constitutional future of the country in jeopardy. The government’s need for taking the extraordinary measure of reintroducing military courts necessitate that the government addresses the neglect of civilian institutions. It is this neglect that has given rise to the possibility of terrorists undermining the government. It is this problem that the government must set out to address however difficult it may seem to appear at present. Failure to address this problem will encourage terrorists further, and the extraordinary crisis faced by Pakistan will worsen. Pakistani activist Asma Jahangir is one of the five winners of this year's "alternative Nobel prize." A fearless critic of the Islamic country's military establishment, she is the first Pakistani to have won the award. Jahangir is to receive this year's Right Livelihood Award - also called the "alternative Nobel prize" - on Monday, December 1, along with US whistleblower Edward Snowden, British journalist Alan Rusbridger, Sri Lankan rights activist Basil Fernando, and US environmentalist Bill McKibben in Stockholm, Sweden. The Sweden-based award "honors courageous and effective work for human rights, freedom of the press, civil liberties and combating climate change," according to a statement released by the Right Livelihood Award committee on Wednesday, September 24. Created in 1980, the annual award acknowledges efforts that its founder Jacob von Uexkull felt were being ignored by the Nobel Prizes. 62-year-old Jahangir is Pakistan's leading human rights activist and a former president of the South Asian nation's Supreme Court Bar Association. She is also a former chairperson of the Human Rights Commission of Pakistan, a non-governmental rights-based organization, and has worked with the United Nations as Special Rapporteur on freedom of religion or belief. In a DW interview, Jahangir said the "alternative Nobel prize" was not an individual award, but a recognition of all rights activists of Pakistan who work under very difficult circumstances. "It is a tribute to a large number of Pakistanis who have worked relentlessly for better human rights in the country. It is also an award for the voiceless people and all others who have been victims of human rights abuses," she said. "It is significant enough to show to the world that not everything is negative about Pakistan, and that there are people who have consistently struggled against oppression over the years," said Jahangir, adding that the award was proof that Pakistan had come a long way as a country thanks to the efforts of so many people towards achieving democracy and the rule of law. Jahangir admits that it is difficult for a woman to lead human rights campaigns in a male-dominated society: "I had to face imprisonment and house arrests, but it made me tougher. As a lawyer, many a time I took up difficult and sensitive cases dealing with minorities' and women's rights. Yes, I constantly receive threats, and to be very honest, at times it is very scary. But I have to continue my work." In an interview with DW in 2012, Jahangir claimed her country's powerful spy agency, the Inter-Services Intelligence (ISI), plotted to murder her. 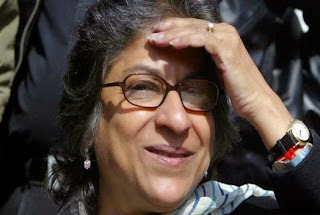 Asma Jahangir was born in an affluent family in Lahore. In the 1960s, when Islamabad suppressed the independence movement in its former Eastern wing - today's Bangladesh - Jahangir's father protested and was repeatedly jailed or put under house arrest. Jahangir says this experience had a tremendous impact on her. "What I have learnt is that you are no longer materialistic after that. The way my father worked altruistically, and the manner in which he used to go behind bars and come back home smilingly was inspirational. He passed away when he was only 61. He had cancer, and we knew he would leave us soon. I remember that my sister and I were sitting at his deathbed, and he looked at us and said, 'I am not going to die, I will live through you'," reminisced Jahangir, who later founded a women's rights forum in 1980 together with her sister, Hina Jilani, a lawyer herself. In Jahangir's numerous jobs, she has raised her voice against the discrimination of religious minorities, against "honor" killings, or the treatment of minors in Pakistani jails. It's been a long journey. The winner of this year's Alternative Nobel prize says there is now more awareness among the people of Pakistan. "Politicians are more sensitive towards human rights issues. We believe that when there is a democratic set up, we have a greater voice. The freedom of expression has also improved in the country," Jahangir said. BANGKOK-PARIS-GENEVA, December 12, 2014: The conviction of three human rights defenders on trumped-up charges is the latest act of the government’s relentless repression of independent voices, the Observatory for the Protection of Human Rights Defenders (a joint program of FIDH and OMCT) and the Vietnam Committee on Human Rights (VCHR) said today. Today, the Dong Thap Appellate Court upheld on appeal the conviction and jail terms of Ms. Bui Thi Minh Hang, Mr. Nguyen Van Minh, and Ms. Nguyen Thi Thuy Quynh on charges of “causing public disorder” under Article 245, paragraph 2, of the Criminal Code. On August 26, the Dong Thap Provincial People’s Court had sentenced Bui Thi Minh Hang, Nguyen Van Minh, and Nguyen Thi Thuy Quynh to prison terms of three years, two years and six months, and two years respectively. The three remain detained in Dong Thap Province. “The conviction of Bui Thi Minh Hang, Nguyen Van Minh, and Nguyen Thi Thuy Quynh is a stark reminder of the absence of an independent judiciary in Vietnam,” said FIDH President Karim Lahidji. “The three must be immediately released and provided adequate compensation for their unjust imprisonment.” Police arrested Bui Thi Minh Hang, Nguyen Van Minh, and Nguyen Thi Thuy Quynh on February 11, 2014, in Lap Vo District, Dong Thap Province, as the three were travelling from Ho Chi Minh City to Dong Thap Province to visit former prisoner of conscience Nguyen Bac Truyen and his wife. Two days earlier, police had raided the couple’s home and taken Truyen into custody. Bui Thi Minh Hang, Nguyen Thi Thuy Quynh, and Nguyen Van Minh are well known for their peaceful campaigns for religious freedom, the release of political prisoners, and their support to victims of land confiscation. “The ongoing harassment, arbitrary detention, and imprisonment of human rights defenders illustrate Vietnam's failure to live up to its repeated pledges to protect human rights,” said OMCT Secretary General Gerald Staberock. “At the end of its first year as a UN Human Rights Council member, Vietnam’s rights record remains abysmal and its authoritarian tendencies are increasing.” Over the past few weeks, Vietnamese authorities have intensified the crackdown on freedom of expression with the arrest of two prominent bloggers. On 29 November, police in Ho Chi Minh City detained blogger Hong Le Tho, 65, under Article 258 of the Criminal Code for “abusing democratic freedoms to infringe upon the interests of the State.” Authorities accused Hong Le Tho of posting articles “with bad content and false information that discredit and create distrust among people about state agencies” on his Nguoi Lot Gach [‘Brick layer’] blog. On 6 December, police in Ho Chi Minh City detained blogger Nguyen Quang Lap, 58, under Article 258 of the Criminal Code for posting online articles that criticized the Vietnamese Communist Party and the government on his blog Que Choa [‘Dad’s Homeland’]. Since January 2014, Vietnam has detained or imprisoned at least 11 bloggers and human rights defenders and it currently holds about 200 political prisoners, the largest number in Southeast Asia. “Today’s verdict is a harsh reality check for those in the international community who are seeking to improve economic and military ties with Hanoi with the expectation that the Vietnamese government would embark upon reforms to show it respects the people’s fundamental rights,” said VCHR President Vo Van Ai. “More international pressure on Hanoi is needed to ensure that arbitrary arrests and imprisonments stop and that all political prisoners, including human rights defenders, are released,” he urged. Publication of the 2014 Annual Report of the Observatory for the Protection of Human Rights Defenders... Paris-Geneva, December 2, 2014 – Land rights defenders are increasingly the target of repressive measures, says the Observatory in a new report published today in The Philippines, Mexico, and South Africa, and which will be presented tomorrow in Geneva at the United Nations Annual Forum on Business and Human Rights. The pressure on land has become unbearable and mobilisation for the respect of the economic, social and cultural rights of affected communities has become a high risk activity. “This Report shows the daily struggle conducted by land rights defenders, often confronted to “economic predators” greedily supportive of unbridled development. Land rights defenders often live in isolated areas, far from actors of protection. 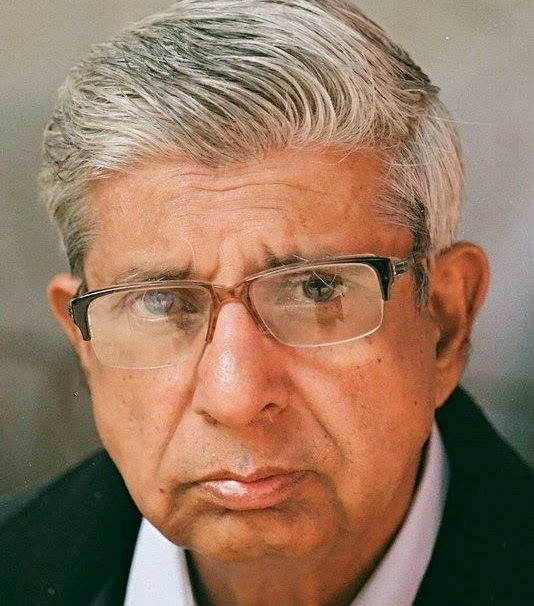 These factors facilitate acts of violence against them, the level of violence being proportional to sky-rocketing profits”, declared Karim Lahidji, FIDH President. In addition to violence, numerous States also use judicial harassment and arbitrary detention to intimidate defenders. Thanks to laws that violate fundamental freedoms or in violation of their own laws, they jail any person deemed to be a nuisance. “Terrorism”, “misleading propaganda”, “infringement to State security”, “public unrest”, there are many abusive charges which can result in heavy prison terms. “Land rights defenders speak for millions of victims. When a defender is jailed or killed, thousands of victims are silenced”, declared Gerald Staberock, OMCT Secretary General. Land rights defenders are often powerless when they face physical attacks and arbitrary arrests. According to the Observatory, 95% of violations against them remain unpunished today. Judicial bodies in countries where such violations occur are characterised by a lack of independence, resources and expertise. 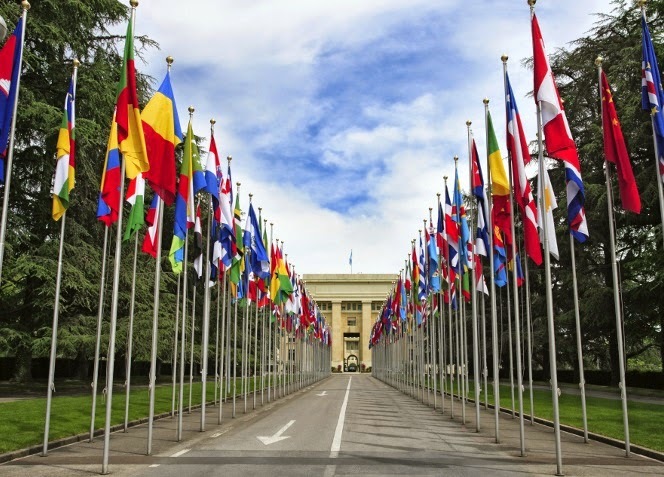 Regarding the possibility of prosecuting business corporations responsible for human rights violations, the legal battle – if any – is often lengthy, perilous, unequal and costly. At the heart of the problem lies the issue of the participation of individuals and communities affected by the development policies and investment projects. The Observatory calls for meaningful consultations that ensure the direct participation of populations affected by the projects and the recognition of land rights defenders as the legitimate spokespersons in order to prevent conflicts and put an end to serious human rights violations. Furthermore, it is necessary to strengthen the capacity and independence of domestic judicial systems, including in States hosting the headquarters of business corporations, in order to allow defenders to access justice and seek redress in the event of human rights violations. The Observatory for the Protection of Human Rights Defenders is the leading global programme on the protection of human rights defenders. Since 2013, it has launched more than 500 urgent interventions on more than 60 countries. The Asian Human Rights Commission is gravely concerned to have learned that on Sunday, 9 November 2014, the military detained Praphat Pintobtaeng, a lecturer from the Faculty of Political Science at Chulalongkorn University, and three additional people in Chiang Mai who were participating in a walk rally to protest the policy of the National Council for Peace and Order (NCPO) to reclaim forest areas and dispossess villagers living within them. Organized by the Northern Farmers' Federation (NFF), a long-standing network advocating for land rights in the northern region, the Land Reform Network of Northern Thailand,and other civil society groups, the walk was initially intended to cover the area between Chiang Mai and Bangkok and aimed to raise awareness about the large number of evictions which have taken place since the 22 May 2014 due to the policies of the NCPO. The activists were only able to walk fifty meters before they were stopped and arrested by soldiers from Army Unit 33, based in Chiang Mai. The four activists who were detained were released after thirty minutes, but the walk rally was not permitted to continue. While the AHRC welcomes the quick release of the four activists, this is a clear indication of the ongoing expansion of the constriction of freedom of expression and political freedom that has characterized the rule of the NCPO. According to the information provided to the AHRC, there were approximately 200 people who were gathered peacefully at Suan Dok Temple in Chiang Mai city. The event was to begin with a series of ceremonies by the different ethnic groups present to remember the human rights defenders (HRDs) who have been killed during land rights struggles since the 1960s. They then planned to continue with the walk rally in order to urge the government to redress the problems caused by NCPO Order No. 64/2557 , which aims to end encroachment on protected areas. The planned walk rally following a petition submitted to the government in June and a request to review actions carried out under the order in late July. They also submitted a further petition to the governors in nine northern provinces in October, but there was no response. At the conclusion of the planned walk rally, they planned to submit a petition to Prime Minister General Prayuth Chan-ocha. Shortly after the ceremonies began at 1 pm, a group of approximately 100 army and police officers and two big army trucks arrived. The soldiers carried shields and stood in two rows to block the people gathered from beginning to walk. Shortly thereafter, Praphat and the other activists were arrested and placed in vehicle outfitted for mobile confinement. They were released and promised that the Minister of Environment and Natural Resources would consider their complaints. Subsequently, the Chief of Staff of Army Unit 33 asked the leaders to cooperate with martial law and not continue with the demonstration or proceed with the walk and again promised that the relevant national authorities would come to meet with them at a later date in November. This is not the first time that the NCPO has targeted activists and citizens attempting to have public dialogue about land, environmental or resource issues that directly affect their lives. On 17 July 2014, Prom Jarana, a human rights defender and land rights activist with the Assembly of the Poor in Buriram was arrested and detained for his work against evictions (AHRC-STM-138-2014). On 20 August 2014, eleven activists of the Partnership on Energy Reform were arrested while carrying out a peaceful and non-partisan walk calling for public discussion and to encourage citizens to be actively engaged in decisions about energy development(see the statement to the United Nations Human Rights Council by the Asian Legal Resource Center, the AHRC's sister organization on this incident: ALRC-CWS-27-12-2014 ). Since the coup, the NCPO has used a combination of summons, arbitrary arrest and detention, criminal prosecution and proceedings in military tribunals to silence those who question the junta and the monarchy. What the intimidation, harassment, and arrests of land rights and other activists indicates is that the NCPO is not only interested in eliminating dissent that directly targets them, but instead limiting the exercise of basic civil and political rights by citizens. The Asian Human Rights Commission is concerned that the terms of martial law, various orders of the NCPO, and Article 44 of the interim constitution, which provides the NCPO and the Cabinet with the authority to take any actions necessary to preserve national security, have provided the legal infrastructure for the systematic stripping of basic freedoms and human rights protections in Thailand. Nearly six months have passed since the coup in Thailand and there is no clear sign of when martial law will be revoked. The Asian Human Rights Commission condemns the coup in the strongest possible terms and calls for an immediate return to a civilian government and the protection of human rights. New Delhi, October 29 : Former National Advisory Council Members, retd bureaucrats, academics, artists, activists and others led by Justice (Retd.) Rajinder Sachar, in an open letter to Prime Minister, Mr. Narendra Modi has urged him to call for a Review and Discussion on Sardar Sarovar Dam in the National Interest. 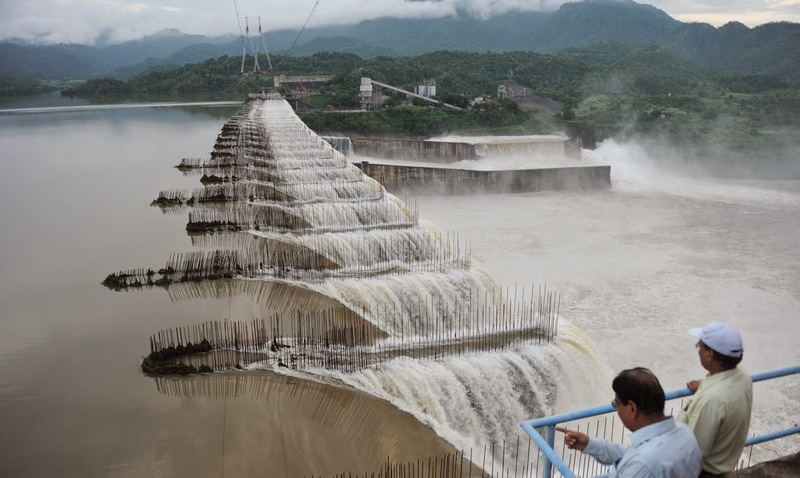 Mr. Modi is scheduled to inaugurate the construction work at the Dam Site and Garudeshwar Weir on October 31, after the decision to raise the height of the dam was given on June 12th. The letters says, “the decision to raise the height of the dam further, will affect 44 additional village communities and one whole township, upto 214 kms long area in the Narmada basin, with 45,000 families. This will be done in violation of the NWDT Award and SC Order, since the resettlement and rehabilitation of the people are not complete yet on the ground.” They further added that, “the fact that completion of this particular project has been priority for Mr. PM, however, as the Prime Minister of the nation, he is expected to look after the welfare of all the citizens, and ensure that the lakhs of oustees, especially in Madhya Pradesh, belonging to the farming, fishing and working classes do not face destitution.” They urged that the former Prime Minister Manmohan Singh had given assurance to the Supreme Court in 2006 that as per law, all the project affected people will be rehabilitated first and then only the dam will be completed. Mr. Modi is bound both by virtue of his good office and by law to keep up this promise. It is in this light that Prime Minister, should call for a discussion and review of the ground situation on resettlement and rehabilitation in the larger national interest. We are writing this letter with much agony and enormous concern regarding the formidable impact increase in height of the Sardar Sarovar Dam on river Narmada will have. It will adversely impact the lives of adivasi (tribal) & rural communities, submerge precious natural resources - land, water, tree cover, fish and kill the pure and pious river, Narmada. Narmada – home to the oldest of human civilizations with rare archeological monuments. We request your personal attention and intervention to to stop this wanton destruction. We know and most of us have witnessed the fact that at the present height of the dam, 122 m, itself there are 35,000 and more families residing in the submergence area and hence yet to be rehabilitated. The decision to raise the height of the dam further, erecting 17 meters high gates, to the full reservoir level, i.e. 138.68 meters, will affect 44 additional village communities and one whole township, upto 214 kms long area in the Narmada basin, with 45,000 families. Submergence of highly fertile agricultural land, thousands of houses, wells, schools and other amenities, temples, mosques and at least a million trees, should not be imposed without full, fair and legal rehabilitation. The adivasis, dalits and others in the Valley should not be evicted, and their property should not be evicted without complying with the Supreme Court’s directive and NWDT Award. Moreover this human tragedy and man-made disaster cannot ever be acceptable. We are further informed that immediately after the decision was announced by the NCA on 12th June, the oustees and their representatives met the concerned Ministers at Delhi and appraised them of all the facts, ongoing legal and judicial processes, pending litigation, inquiry into corruption and non-compliance of the orders of the Grievance Redressal Authorities; urging them to put the decision on hold. The Ministers were not fully aware of the project and the ground realities but assured review of the matter. We realize that the decision is to keep the gates open for the time being, however, erecting the gates itself is akin to raising the height of the dam, which is to be unlawful. The backwater levels now shown to be reduced, after 30 years since the original surveys before 80’s, are not scientifically drawn and hence any construction beyond the present height cannot be pushed today as drowning and destruction of houses and fields in the large farming belt of Nimad, M.P. has also begun since last few years and will be worse. We are not unmindful of the fact that completion of this particular project has been priority for you. However, as the Prime Minister of the nation, you are now expected to look after the welfare of all the citizens, and ensure that the lakhs of oustees, especially in Madhya Pradesh, belonging to the farming, fishing and working classes do not face destitution. You must be aware that your predecessor, former Prime Minister Shri. Manmohan Singh Ji, committed to the Hon’ble Supreme Court in 2006 that rehabilitation, as per law, would precede any further construction and your are certainly bound both by virtue of your good office and by law to keep up this promise. Dear Prime Minister, we hope you are aware of the fact that Justice Jha Commission, appointed by the High Court of Madhya Pradesh is investigating thousands of land registries which are forged and fake, and also corruption in payment of grants to thousands, allotment of house plots and construction at the resettlement sites. Fraud in all these has been proved, and the final report is soon likely, that crores of rupees are wasted and rehabilitation is far from complete. We are also informed that the Report by the expert committee appointed by the Ministry of Environment till 2012 clearly concluded that most of the conditions related to the severe impacts on the natural resources in the Narmada Valley and compensatory measures are not fulfilled. Those include impacts on the health, forest, fisheries, seismically risky region, the catchment and siltation as also the command area in Gujarat. Without compliance on these, the Dam cannot and should not be pushed ahead, as you will agree. You are certainly aware that the waters in Sardar Sarovar are also being used for the industries and new projects, such as Coca Cola plant (30 lakh liters/day), the car industry in Sanand alone (60 lakh liters/per day) and many others. Also that a few lakh hectares of land in the command area is now being diverted and reserved as industrial areas. All this indicates the change in the original plan and that there is absolutely no urgency to raise the Dam at the cost of people and the nature. Let the people receive all entitlements and natural losses be prevented and mitigated and then the Dam can be raised to completion. You may have also been informed that the oustees in the SSP-affected areas are now legal owners of the acquired lands and houses, as per Section 24(2) of the recently passed “Right to Fair Compensation and Transparency in Land Acquisition, Rehabilitation and Resettlement Act of 2013”; since they continue to remain in possession of the acquired properties, till date. It would thus be unlawful to continue with further construction that is bound to lead to submergence and interference with the property and human rights of the owners. Conversation with Jumma-rights Activist for International Solidarity’ was held at Manhae NGO Educational Institute, Seoul, on the 18th of October 2014. The program has been designed to hear about force migration of the Chakma Indigenous peoples and their status in India. The event was organized by Jagadish Tanchangya, Chairperson of Jumma peoples’ network(JPNK) and Dr. Yi Sudeok, Chairperson, Buddhist Solidarity for Reform(BSR). The Speaker is Mr. Sushanta Chakma, Director of SNEHA. 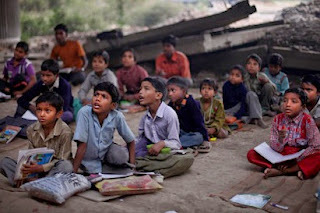 SNEHA is a charity organization providing education to the Chakma and other minorities of India (http://www.sneha.org.in). Discussant: Case study on the Jumma refugees in France, Jean Marie Lebrun (French Activist for rights of Jumma Indigenous peoples), and Buddhist international solidarity, Namjae, Lee (Secretary General of With ASIA ). The Chakmas in India is the major ethnic group belongs to the Jumma peoples who originally live in the Chittagong hill tracts (CHT) of Bangladesh. There are also about 150,000 Chakma populations in neighboring state of Mizoram, Tripura, Assam including Arunachal Pradesh of India. The Chakmas living in Indian regions have geographical, historical and political relationship with the Chakma peoples of the Chittagong Hill Tracts(CHT) of Bangladesh. A big part of the Chakmas in India is victims of force eviction and force migration in 1960 of the then east Pakistan (Bangladesh) due to submersion of their homestead by water of KAPTAI DAM which was built by Pakistan government in the center of the Chittagong Hill Tracts(CHT). Some 100 thousands of Jumma people had to evict because of Dam-water, and part of them (40,000) took refuge in India. Moreover, continuous violation of human rights against the indigenous peoples in the Chittagong Hill Tracts (CHT) of Bangladesh is also a reason to push the Chakmas across Indian border. Chakmas socio-economic and education situation in India is very poor. Specially, the situation of the Chakmas living in Arunachal State who have migrated from Bangladesh is very vulnerable. They are living in a situation of neither Indian citizen nor refugees though Indian court recognized as citizen those who born in India. Despite poverty and adverse situation their initiatives and effort for survival and coup with modern society still continues. SNEHA has established 2 schools, and has been providing educational services for children of 12 ethnic minorities in the region. SNEHA has given ray of hope in the lives of 700 minority children by providing educational services till date. Jumma refugees in 1985: 65thousands of Jumma from the Chittagong hill tracts of Bangladesh had to flee to India in 1985. Out of them, some 72 Jumma children were resettled in France by collaborated initiative of France government and civil society of France. The World Bank is now holding its Annual Meetings in Washington D.C. Peoples movements and environmental and social action groups from across the world have also gathered there to expose the World Bank's disastrous record in securing human rights and environmental justice and financing undemocratic and unjust "development". The World Bank has been called yet again to democratise itself, and ensure it is does not any more operate as an extension of the US State Department if it really means what it says: "Working for a World Free of Poverty". The Peoples Statement demanding withdrawal of the World Bank Draft Safeguards Policy will be presented to Executive Directors of all countries in the World Bank Group. We welcome endorsements of this Statement by groups and organisations who advocate a fundamental reform and democratisation of the World Bank and such other institutions. 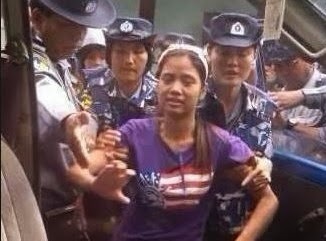 Ms. Phyu Hnin Htwe, a 23-year-old, member of the All Burma Federation of Student Unions (ABFSU) from Yadanabon University, Mandalay has been falsely implicated in the abduction of two Chinese workers from an army-backed copper mine project. On 20 September 2014, four months after the incident, she was arrested in her hometown under Penal Code Section 364 and 368. She is currently detained in Monywa Prison and awaiting trial in Yinmabin District Court. Ms. Phyu Hnin Htwe has already attended two trials. Her lawyer has applied for bail on September 23, but it has not been granted. On 18 May 2014, three workers, one Burmese worker and two Chinese workers of the Wanbao Mining Company’s Letpadaung Copper Mine Project, were illegally detained by the local people from Yinmabin Township. The workers had come to the village to survey the land, but the villagers, whose lands were seized for the project, abducted the workers; they were concerned that the government was ignoring them in favour of the Chinese company. The villagers immediately released the Burmese worker but intended to use their detention of the two Chinese workers to draw the government’s attention to their grievances. The following day, local authorities negotiated with the people granting them the right to use their land again and preventing the company from further fencing off sections of the area. The villagers set the two Chinese workers free, after the verbal agreement with the authorities. While these events were taking place, Ms. Phyu Hnin Htwe was at the home of a local family, tutoring their children. She was not involved in kidnapping the workers. According to local sources, she was only present in the area to volunteer help to local students and to provide support for the people who had lost their lands. Nevertheless, she has been accused of helping the villagers kidnap the workers. The members of the victim’s student union, among others, believe that membership in the union is one of the main reason she is being singled out by the government. On 22 May 2014, the court charged seven people, including Ms. Phyu Hnin Htwe, for the abduction. Five of the seven were arrested, charged, convicted, but then pardoned. There has been no attempt to arrest the other two, including Ms. Phyu Hnin Htwe, at the time. Now that Ms. Phyu Hnin Htwe has been arrested, only one of the seven remains at large. Letpadaung Copper Mine Project is being operated by the Union of Myanmar Economic Holdings Limited and Wanbao Mining Company, China. There are many nationwide objections to the project, because of the side-effects that impact the environment and livelihood of local people. 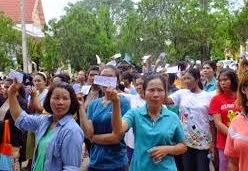 Activists who were helping the local people in the Letpadaung area had been prosecuted with various offenses (see AHRC-STM-173-2013 and AHRC-STM-082-2013. The plaintiff of the case is an employee of the Union of Myanmar Economic Holdings Limited. The Asian Human Rights Commission condemns the politically motivated prosecution of a young student for crime that she has not committed. The AHRC urges the courts to act independently, consider the facts, dismiss the case, and release the girl immediately. GENEVA, 16 September 2014 (Vietnam Committee) – Speaking at the 27th session of the UN Human Rights Council in Geneva jointly with Acting together for Human Rights (Agir Ensemble pour les Droits de l’Homme), Mr. Vo Van Ai, President of the Vietnam Committee on Human Rights (VCHR) denounced impediments to the recent visit of the UN Special Rapporteur on Freedom of Religion, Mr. Heiner Bielefeldt (from 21-31 July 2014), in particular those caused by the Vietnamese authorities themselves. In his preliminary remarks on concluding his visit, Mr. Bielefeldt said that many of his meetings had been “interrupted” because people he wanted to meet had been threatened, intimidated or harassed. He was constantly followed by “undeclared security or police agents” who violated the confidentiality of many private meetings, obliging him to cut them short. The UN Special Rapporteur said Vietnam had violated the terms of reference of in situ visits. He added that no-one should suffer reprisals because of meeting him, and told the Vietnamese authorities that he would closely monitor the situation of all those he met to ensure that this was respected. In brief, he concluded, “grave violations of freedom of religion or belief are a reality in Vietnam’. Mr. Vo Van Ai told the UN Human Rights Council it was “inadmissible that Vietnam, which holds a seat on this Human Rights Council, persists in violating freedom of religion or belief”. He raised the plight of the outlawed Unified Buddhist Church of Vietnam and its Patriarch Thich Quang Do, a 2014 Nobel Peace Prize nominee, who has been held under different forms of detention (internal exile, prison and house arrest) for the past 30 years. Agir Ensemble pour les Droits de l’Homme its partner, the Vietnam Committee on Human Rights (VCHR) strongly condemn the disruptions to the visit of the UN Special Rapporteur on Freedom of Religion or Belief in Vietnam in July 2014. At the end of his mission, the Special Rapporteur said that Vietnam had violated the terms of reference of in situ visits. Some planned visits had been “interrupted”, and a number of interlocutors had been warned, intimidated and harassed to dissuade them from meeting him. The Special Rapporteur also said his whereabouts had been constantly monitored by “undeclared security or police agents”, and that the privacy and confidentiality of some private meetings were violated. He concluded that “severe violations of freedom of religion or belief are a reality in Viet Nam”. It is inadmissible that Vietnam, which holds a seat on this Human Rights Council, persists in violating freedom of religion or belief, imposing strict controls on “recognized” religions and repressing “non-recognized” bodies such as the Unified Buddhist Church of Vietnam (UBCV). The UBCV is effectively banned and its members are continually subjected to harassments or detention, such as the Patriarch Thich Quang Do. As the Special Rapporteur noted in his preliminary remarks, grave violations of religious freedom are often caused by restrictive vaguely-defined and catch-all legal provisions such as “national security” articles in the Criminal Code or the “abuse of democratic freedoms” (Article 258). Arbitrary recourse to vague pretexts, such as “legitimate interests of the majority” is also used to stifle freedom of religion or belief. The Special Rapporteur deplored the absence of effective legal recourse against violations of freedom of religion or belief and human rights in general. This absence is not a shortcoming, but the result of a deliberate policy designed to restrict Vietnamese citizens’ enjoyment of human rights, in disregard of binding international obligations. The case of human rights defenders Bui Thi Minh Hang, Nguyen Van Minh and Nguyen Thi Thuy Quynh, condemned to prison sentences for “disturbing public order” in August is an illustration of this policy. We call upon the Council to remind Vietnam that such treatment of a Special Rapporteur is incompatible with the obligations of a Council member. Vietnam should cease all repression against “non-recognized” religions such as the UBCV and grant autonomy to all religious communities as recommended by the Special Rapporteur. 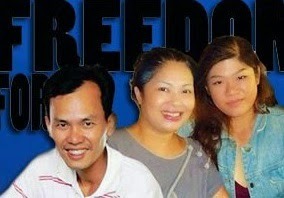 Moreover, Vietnam should urgently extend an invitation to the Special Rapporteur on Freedom of Opinion and Expression. All the aforesaid statements made by Yogi Adityanath are criminal offences amounting to generate hatred and enmity against the Muslim community. He is straight away liable to be prosecuted under Section 153A of the Indian Penal Code which provides punishment of imprisonment which may extend to 3 years or with fine or with both to anyone who by words, either spoken or written promotes or attempts to promote , on grounds of religion, race or community or any other ground whatsoever, disharmony or feelings of enmity, hatred or ill-will between different religious, racial, language or caste or communities, and who commits any act which is prejudicial to the maintenance of harmony between different communities and which disturbs and is likely to disturb the public tranquility. Yogi Adityanath must be knowing that India has a Constitution and is meant to be governed by the Rule of Law . As per Indian Constitution nobody is entitled to take the law in his own hands in order to teach “other side” in the so called “language they understand” or use “bhala’” (javelin) in retaliation to punish the “supposedly” evil elements. It is obvious that Yogi Adityanath is trying to polarize communities for electoral gains in view of the forthcoming elections in UP to serve narrow political interest for his party that is BJP. Citizens For democracy hopes that Shri Rajnath Singh, the Home Minister, will rise above the narrow sectarian political interests, and will prove true to the oath he has taken to uphold the values and principles of the Indian Constitution. Citizens For Democracy , therefore, appeals to him to take immediate action against Yogi Adityanath by arresting and prosecuting him as per law in the interest of maintenance of peace and communal harmony in the country. The Asian Human Rights Commission (AHRC) has received information that 17-year-old BijayKhadka and 16-year-old Govinda Malla, residents of Sonashree VDC 05 and 06 respectively, were arrested for theft by the police. The two were then tortured by various physical means. They have complained of being forced to confess to the crime and not being given a chance to read their statements. They are currently being detained at the Bardiya District Police Office. The AHRC has received information that four unidentified policemen at Dhodhari Mach, Bardiya, arrested teenagers BijayKhadka and Govinda Malla, for theftat around 9 a.m. on 3 August 2014. They were taken to the Dhodhari Police Station in Bardiya district after their arrest, and detained there for about one and half hours. At the Dhodhari Police Station, the four policemen who arrested them took them to a room and forced them to stand upside down against the wall and beat them with sticks. Due to the effects of fear and pain, they cannot remember exactly how long they were tortured. The details they are able to provide are:one policeman used sticks to beat them at least four times on the soles of their feet;five or six times on their hips, back, and hands; and then slapped them four or five times in the face. The police then took them out to the office premise and forced both of them onto their elbows and knees. They were made to crawl on gravel for about 10 minutes. Then the police ordered them to do frog jumps for about 10 minutes. After that, they were tortured further. The police kept them in a waiting room for a while before transferring them to the Bardiya District Police Office (DPO) in a police van. At Bardiya DPO, they were taken to the Litigation Section where they were interrogated by other unidentified policemen. The children were accused and questioned about other acts of theft. Demanding that they confess the truth, one of the policeman banged Govinda Malla's head against a wall and beat both the detainees with sticks. Then, two unidentified policemen forced both of them to lie down on their knees and elbows and beat them with sticks, twice on the soles of their feet, and twice on their hips. They were also forced to slap each other's faces four times. Only then did their physical torture end. The victims were provided arrest warrants and detention letters on 5 August, with effect from 3 August,from the time they were transferred to the Bardiya District Police Office. The two juvenile victims were taken to the public prosecutor's office in the second week of August, between 10 to 15 August 2014,to record their statement. They complained of a coerced confession and of not being given a chance to read their statements. Due to the torture, and a reminder of the intense pain they experienced for days afterward, the boys still have scars on their back and elbows. The AHRC urges the government of Nepal to intervene immediately and investigate the allegations of police torture. If the allegations meet the prima facie standard, the police officers should be suspended for the period of investigation. This will limit their ability to meddle with the investigation process.Further, the government should arrange for the safety and security of the victims. I write with deep concern that four unidentified policemen at Dhodhari Mach, Bardiya, arrested teenagers BijayKhadka and GovindaMalla, for theft at around 9 a.m. on 3 August 2014. They were taken to the Dhodhari Police Station in Bardiya district after their arrest, and detained there for about one and half hours. At the Dhodhari Police Station, the four policemen who arrested them took them to a room and forced them to stand upside down against the wall and beat them with sticks. Due to the effects of fear and pain, they cannot remember exactly how long they were tortured. The details they are able to provide are: one policeman used sticks to beat them at least four times on the soles of their feet; five or six times on their hips, back, and hands; and then slapped them four or five times in the face. The police then took them out to the office premise and forced both of them onto their elbows and knees. They were made to crawl on gravel for about 10 minutes. Then the police ordered them to do frog jumps for about 10 minutes. After that, they were tortured further. The police kept them in a waiting room for a while before transferring them to the Bardiya District Police Office (DPO) in a police van. At Bardiya DPO, they were taken to the Litigation Section where they were interrogated by other unidentified policemen. The children were accused and questioned about other acts of theft. Demanding that they confess the truth, one of the policeman banged GovindaMalla's head against a wall and beat both the detainees with sticks. Then, two unidentified policemen forced both of them to lie down on their knees and elbows and beat them with sticks, twice on the soles of their feet, and twice on their hips. They were also forced to slap each other's faces four times. Only then did their physical torture end. I know that the victims were provided arrest warrants and detention letters on 5 August, with effect from 3 August, from the time they were transferred to the Bardiya District Police Office. I have been informed that two juvenile victims were taken to the public prosecutor's office in the second week of August, between 10 to 15 August 2014, to record their statement. They complained of a coerced confession and of not being given a chance to read their statements. Due to the torture, and a reminder of the intense pain they experienced for days afterward, the boys still have scars on their back and elbows. 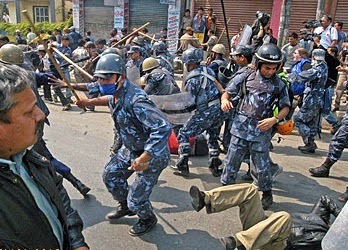 Therefore, I urge the government of Nepal to intervene immediately and investigate the allegations of police torture. If the allegations meet the prima facie standard, the police officers should be suspended for the period of investigation. This will limit their ability to meddle with the investigation process. Further, the government should arrange for the safety and security of the victims. Death threats still stand and are repeated against the Wang Saphung community We, the undersigned 18 organisations, are deeply concerned about the Wang Saphung community's situation. The death threats against 10 community members are still standing. More worryingly, we have been told by community leader MrsVironRujichaiwat – mother of a one-month old baby – that she received a phone call from an unidentified man, on the eve of the community's reconciliation meeting – Saturday 16th August at 19:00. Here is the transcript of their conversation. Unidentified man: "Are you the wife of SurapanRujichaiwat? VironRujichaiwat: Yes. Unidentified man: Tell your husband that he watch out for himself. VironRujichaiwat: Who are you? Unidentified man: If your husband doesn't stop his campaigning he will suffer the consequences." We see this phone call as a renewed death threat against community leader MrSurapanRujichaiwat, and also against MrsVironRujichaiwat. This event worries us greatly regarding the security of Wang Saphung community leaders under death threats, and of the community as a whole. Moreover, the Wang Saphung community's dispute with the gold-mining company, Tung Kha Limited Company (TKLC), is at a very tense stage. This week (19th-22nd August), the Loei Court will start the trials for the first two of seven legal cases against a total of 33 community members. This judicial harassment will drain a lot of attention and energy from the community as a whole. The Wang Saphung's community organization, KhonRak Ban Kerd Group (KBRK), has also informed us on the result of their reconciliation meeting on Sunday 17th August, with TKLC representatives, which was mediated by Wang Saphung District Chief. All relevant authorities were also present, including the Maj. Gen. WoratatSupattananon (Military District Commanding Officer, Loei Province),Governor VirojJivarangsan, the Deputy-Governor, the Provincial Police Chief, Mr VichaiCherdchivasart (Managing Director of TKLC), and the concerned village headmen. After the meeting the KBRK clearly told us that no agreement had been reached during the heated meeting. The company proposed no changes to the current situation, which has seen all mining operations suspended since before the 15th of May attack on the Wang Saphung community. The KBRK asked for all the legal cases against community members to be lifted in the spirit of reconciliation. This proposal was categorically refused by the company, as were all the other proposals from the Wang Saphung community representatives. As the meeting resolved none of the outstanding issues between the community and the company, the authorities concluded the meeting by calling for another reconciliation meeting between all stakeholders to take place in a month's time. We believe that the Wang Saphung community will continue to engage in all mediation efforts. This is because we deem that it is the community itself which has the most at stake in seeing the tense situation resolved, as they are the ones suffering both from the mining activities and from the deteriorating security situation. 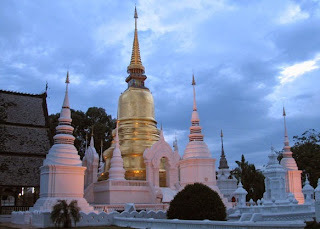 We call upon the authorities to: 1.Carry out an immediate, thorough and independent investigation into the death threats against MrSurapanRujichaiwat, and also against MrsVironRujichaiwat with a view to publishing the results and bringing those responsible to justice in accordance with international standards; 2.Take all necessary measures to guarantee at all times the physical and psychological integrity of MrSurapanRujichaiwat, and also that of MrsVironRujichaiwat and all other leaders of the KBRK and their families, including reinforcing any existing protection measures where necessary; 3.Guarantee in all circumstances that all human rights defenders in Thailand are able to carry out their legitimate human rights activities without fear of reprisals and free of all restrictions. We call upon the general public and all stakeholders to: 1.Publicly condemn the threats and harassment suffered by KBRK and the Wang Saphung community as a whole; 2.Listen to all stakeholders in this dispute, in order to avoid a one-sided perception of the dispute which can only aggravate the already tense situation; We call on the media to give a voice to all central stakeholders in this dispute. Smt. Reena Choudhary, mother of Master Vijul Choudhary and Master Jatin Choudhary has today filed writ petition through Adv Ashok Agarwal in the Delhi HC seeking directions against R.D. Public School, Krishan Vihar to forthwith issue Transfer Certificates to her two sons. The petition is likely to come up for hearing next week. The two boys had been studying in R.D. Public School for the past several years, but their parents wished to withdraw them from the school since they were no longer being able to afford the high fees of the private school. The mother wrote to the school in April 2014 expressing her inability to pay hefty school fee and requested for issuance of Transfer Certificates. The school authorities however delayed handing over the Transfer Certificates and asked the mother to collect the same in July. When the mother went to the school in July seeking the Transfer Certificates, the school authorities demanded that she first pay the school fees for both her sons for the months of April-June, even though her sons had not attended a single day of school during these months. Because of this, the two boys are unable to get admission in any Government school and are sitting idle at home and their studies are being irreparably damaged. R D Public happens to be run by a MLA. • Loud carnival protests held outside Vedanta's London AGM, and in South Africa, Zambia, Trinidad and Tobago, Delhi and Orissa, India. • Vedanta is investigated for major tax evasion and mismanagement in Zambia. • Vedanta still intent on mining Niyamgiri despite losing the right to mine in a precedent decision this December. 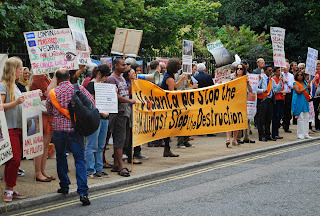 On 1st August protesters from Foil Vedanta(1) and other organizations will hold a loud and colourful demonstration at the AGM of controversial FTSE 250 mining company Vedanta(2) at the Lincoln Centre, Lincoln Inn Fields, London. On 31st August parallel demos will be held in Delhi, Zambia and Johannesburg. Meanwhile, Vedanta are accused of tax evasion and mismanagement at their Konkola Copper Mines subsidiary in Zambia after investigations revealed they may be externalising up to $500 million per year in profits. 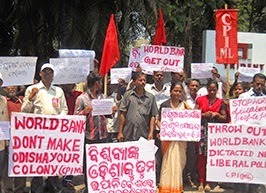 In Odisha, India, a consultation on the proposed six fold expansion of the Lanjigarh refinery on 30th July will meet with major opposition after Vedanta lost permission to mine the Niyamgiri Hills this year. Samarendra Das from Foil Vedanta says: “The case for de-listing Vedanta in London is mounting rapidly as evidence of major tax evasion, illegal mining, insider trading, related party deals, pollution and workers deaths stack up. Vedanta cannot be allowed to continue to violate laws with impunity. 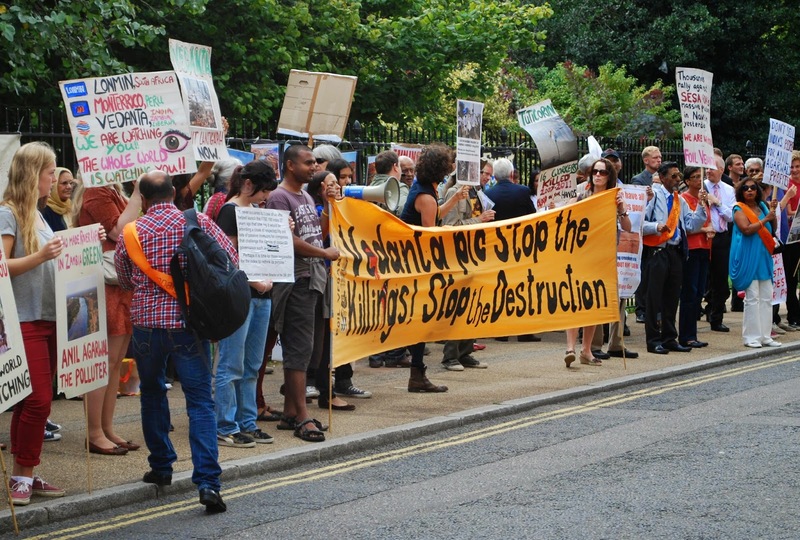 We demand that Vedanta is formally investigated and trialled in the UK, and justice is served to its many victims.” Inside the London AGM dissident shareholders will disrupt the meeting by asking questions on Vedanta's environmental and human rights record and evidence of financial mismanagement. In Johannesburg a picket by Earthlife Africa will protest a coal fired power station planned by Vedanta Zinc. In Port of Spain in Trinidad and Tobago a solidarity demonstration is expected.